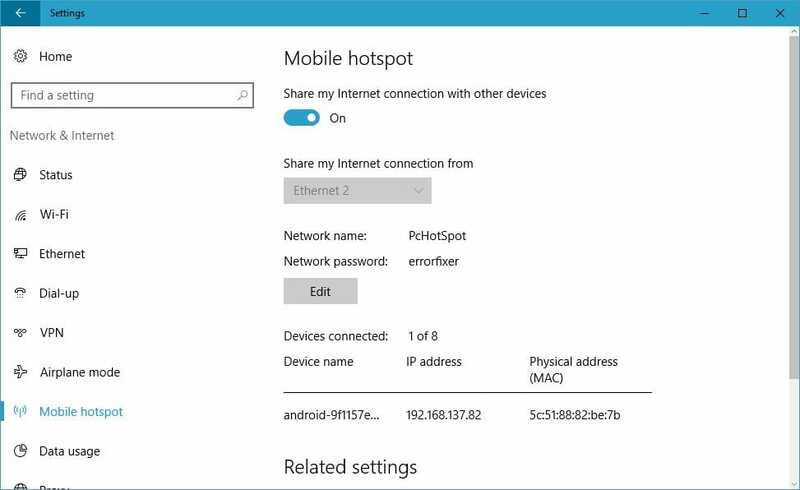 In Windows 10, you can use your PC has a hotspot. That is if you are connected to the internet via Ethernet. If you don’t have WiFi router, or don’t want to shell out extra cash for it, then this is a great alternative to the traditional method. In previous versions of Windows like 7, 8 and 8.1, you would need to use the pre-included Windows utility called netsh to enable a hotspot on your computer. In Windows 10, you can just use the built-in options to enable the hotspot. First, make sure that your PC is connected to the internet and its working correctly. To check that, search for command prompt in the start menu and open it. Type the following ping command. 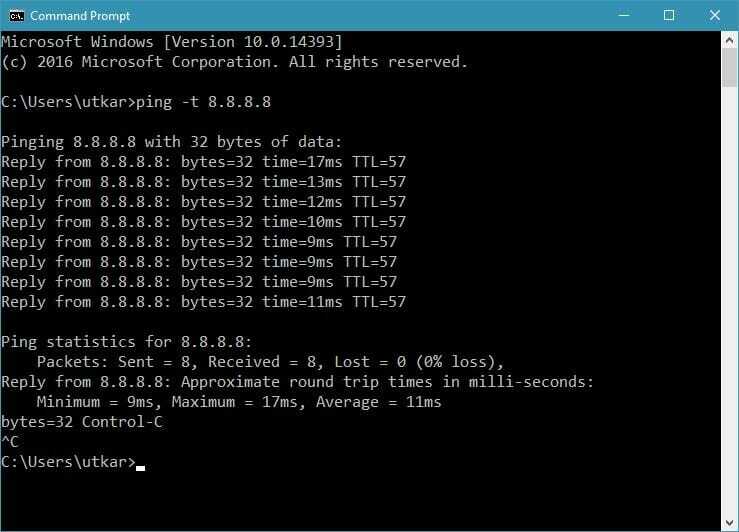 This command sends a ping to the Google Public DNS to check if the internet on your computer is working fine or not. The output of the command should look something like the image below. Now that we have established that the internet is working fine, you need to verify if the WiFi adapter or WiFi card connected to your PC is also in the working state. If you don’t have one, you will need to get something like Edimax EW-7811Un (affiliate link won’t cost you extra) which is just approx $9 and works flawlessly. This connects to your PC via USB and doesn’t really need any drivers to be installed manually. One thing that you should keep in mind is that being small in size, this adapter won’t really give you as large range as your traditional router. To get better WiFi range, you can use a dedicated PCIe WiFi card. In that category, I’ll recommend TP-LINK N900 or the TP-Link Wireless N150. The TP-Link Wireless N150 is the cheaper one here among the two I listed. If you just want to casually use your PC as the WiFi hotspot access point, use this one. For a little better range, use the TP-LINK N900, but it is not necessary for casual users. Now, let’s come to the meat of this thing and actually make a hotspot on your PC. Navigate to Settings > Network & Internet > Mobile Hotspot. Here, turn on “Share my internet connection with other devices” on the top. If you have more than one live wired connection to your PC, you will get the option to select which connection you want to share via your hotspot. In my PC, I have only one Ethernet connection, so the option is grayed out. 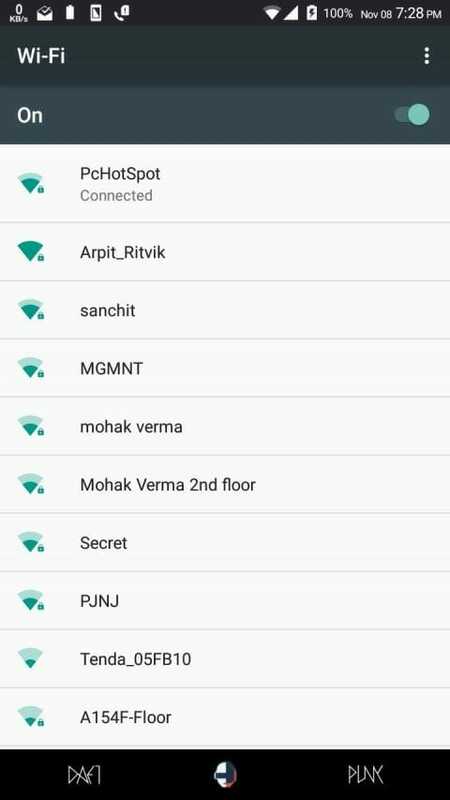 Click on Edit button to set your Network name (SSID) and Network password. You can name the hotspot anything to your desire. Once decided, click on Save to save the settings. Now, get the WiFi enabled device that you want to connect to this hotspot and select the Hotspot name and enter the password to connect.